Traffic accidents are never an easy thing to deal with. The headaches that follow a car accident seem to be endless – from property damage, personal injuries and dealing with the insurance companies, auto accidents generally result in a tremendous amount of frustration for all parties involved. While car accidents can be aggravating, preparing yourself for how to react in the event you are involved in an accident can help ensure that your legal rights will be protected. Not Calling Police. 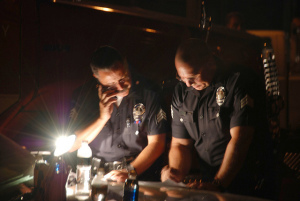 If you can call the police after an auto accident, then it is best to do so. Law enforcement can handle any emergency and/or criminal issues that can arise at the scene of an accident, as well as take notes about the accident and record any witness statements. Should you choose to pursue an injury claim, these notes could become useful. Not Getting the Other Driver’s Information. You should always try and exchange information with any other motorists involved in an accident. It can be difficult to make a case without this information. Make sure to get a driver’s license plate number, insurance information and contact information. If any witnesses are present, jot down their information as well. Not Seeking Medical Attention. Many people that are involved in car accidents refrain from seeking medical care because they do not feel any pain right away. However, by not seeking prompt medical attention, you put yourself and your potential injury claim in danger. Waiting to seek out medical help is common, but a very big mistake. Believing the Insurance Company. Despite what you may think, the insurance company is in business to protect their bottom line, and that is it. Do not believe for a second that an insurance company will fairly compensate you for your damages, and never accept an offer without consulting with a lawyer first. This is a costly mistake. Not Calling a Lawyer. An auto accident attorney can help you understand all of your legal rights and help guide you through the process of filing a personal injury claim. Moreover, an injury lawyer can help you deal with the insurance company and get you the financial compensation you deserve. It is important to protect your rights after a car accident. If you have questions about your case and how a Hernando County Auto Accident Lawyer at Whittel & Melton can help you, call us today at 352-666-2121 or contact us today online for a free case evaluation.